On Wednesday, the fate of ObamaCare will again be argued before the Supreme Court. Supporters of the health-care “reforms” are flooding the media with ghoulish predictions of what will happen if the court rules against the administration: victims supposedly losing their insurance, their medical care, even their lives. Don’t be bamboozled by talk of disaster. No matter how the justices rule, it will have no impact on the poor. Nine out of every 10 people who are newly insured because of ObamaCare are on Medicaid, which will be unaffected. Their stock prices have soared since the healthcare.gov rollout — Humana up 66 percent; Cigna, 53 percent; Aetna, 52 percent. No wonder: ObamaCare forces the public to buy their policies. It’s like a law requiring all Americans to buy cars, subsidizing those who can’t pay. That would send automaker stocks skyrocketing, too. Insurers are expected to haul in over a trillion dollars of taxpayer money over the next decade. No wonder they’re bombarding the Supremes with arguments defending their cozy deal. Gov. Chris Christie twice vetoed bills to set up a state exchange. But some 180,000 New Jerseyans are signed up for subsidies on healthcare.gov. He and other Republican governors are in a tight spot unless Congress acts. The law slaps the uninsured with a penalty — 2 percent of adjusted gross income in 2015. Employers with 50 or more full-time workers must provide coverage or face a penalty — but that only kicks in if a worker signs up for a subsidy. No subsidies mean no employer mandate in those states. That’s relief for about 250,000 businesses. Job seekers and part-timers hoping for full-time work will also benefit when employers no longer feel pressure to keep workforces under 50. ObamaCare is a political albatross; New York’s Sen. Chuck Schumer blames it for the party’s staggering losses last November. The crisis will allow Democrats with constituents unhappy over ObamaCare — including unions now furious over the law’s “Cadillac tax” on their generous health plans — to get behind a compromise. Contrary to what the Obama team is arguing, a loss for the president here will be a win for average Americans. Republican lawmakers are getting set to drive a stake into the law’s worst features, the job-killing employer mandate and the expensive “Washington knows best” coverage mandate. 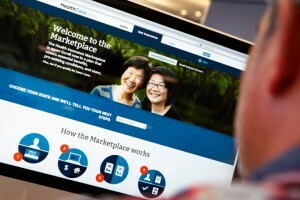 In ObamaCare’s place, we’d have a system that lets people buy the health plans they want and work the hours they want.